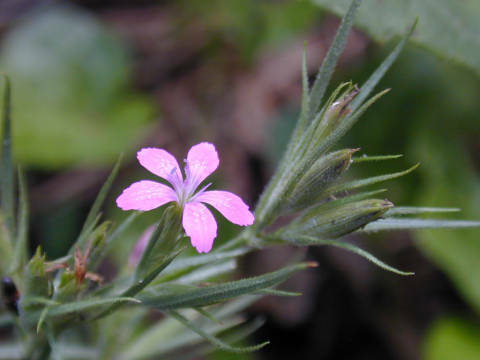 Fields, roadsides, pastures; common in NC Mountains and Piedmont, uncommon in Coastal Plain. Bristly looking little plant which seeds itself and refuses to cooperate in the garden. 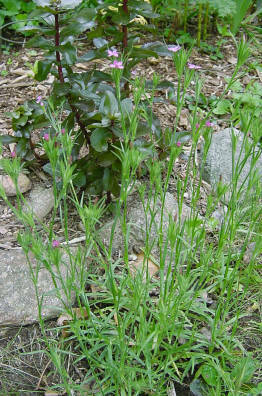 However, the bloom is so bright that I often leave it (though it is not a native plant), mowing around it! 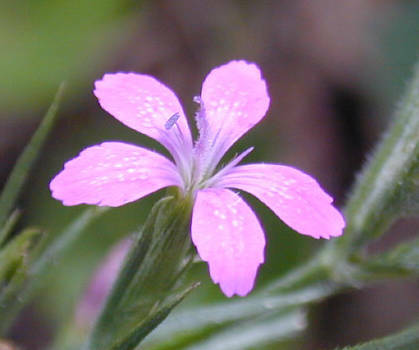 The flower, which is about half an inch across, has tiny toothed edges and white specks on the petals.